What the Heck is a Cosmic Mass? A couple of weeks ago, I attended my second cosmic mass. Both were held at Jubilee! Community church here in Asheville. In some ways they were similar; in other ways, they were completely different – which is exactly how a cosmic mass should be. Cosmic masses are designed to be participatory, invigorating, and healing. They create a space that welcomes both playfulness and sorrow, and they allow participants to reconnect with their bodies, the earth, and one another. In some ways, cosmic masses are characterized by what is not present. There are no hymnals, no pews, and no preacher. Along the same lines, organizers are not limited to the symbolism, teachings, or ritual practices of a particular culture or institution. What that leaves is a rich, powerful interfaith/intertradition spiritual event. I’m thrilled to have participated in two such rituals, and I’m even more excited to share them with you. Two overarching principles guide most cosmic masses: 1) they are grounded in Creation Spirituality, and 2) they incorporate both indigenous ritual forms and modern technology. Creation Spirituality is an attempt to integrate the spiritual wisdom of the mystics, indigenous cultures, modern-day scientific knowledge, and various faith traditions. The basics are explored extensively in Original Blessings by Matthew Fox, who points out that Creation Spirituality is not a new religion but a rediscovering of beliefs and traditions that have lived among us for centuries. Creation Spirituality also proposes that our spiritual journey can be articulated and revealed by four paths – Via Positiva, Via Negativa, Via Creativa, and Via Transformativa. The Via Positiva is about reconnecting with the awe, wonder, and delight that is present all around us. It is about finding joy in all that life offers. The Via Negativa is about embracing pain, accepting the dark times, and letting go. It is about relinquishing our need to be in control. The Via Creativa is about living our lives to the fullest, co-creating with the divine, and expressing our true selves. It is about trusting our intuition and our imagination. The Via Transformativa is about embodying compassion, justice, responsibility, and fairness. It’s about recognizing that all of life is interconnected. Cosmic masses use Creation Spirituality as a framework, but the masses, themselves, are known for their juxtaposition of ancient ritual and contemporary media. Indigenous rituals often share common practices, like singing, dancing, drumming, and connecting with Great Mother Earth. The classical elements – earth, fire, air, and water – are also routinely present. All of these features, handed down to us through the ages from our ancestors, regularly appear during a cosmic mass. However, modern-day projection screens also display a variety of images depicting the infinite possibilities that all of creation offers – the good, the bad, the ugly, and the sublime. As you might expect, the music of the cosmic mass also reflects the vastness of life and ranges from ancient chants to contemporary rap. The presence of these seemingly disparate expressions of the holy is not just a way to be different or weird. It reminds participants that all of life is sacred and that the divine presence can be found in everything this crazy world has to offer. That includes scientific knowledge and innovative technologies. Creation Spirituality, and therefore the cosmic mass, embraces the ongoing stories of how our universe was created, how species adapt to their surrounding environment, and how subatomic particles interact, but it does so in a non-dualistic manner. Religion is not perceived as the opposite of science, and reason is not the opposite of intuition. Rather, all these concepts are seen as part and parcel of the wholeness of creation. And that means that what qualifies as worship is more about an open heart than a well-defined liturgy. The seeds for the cosmic mass as a form of worship were planted when young Anglicans from England began merging ecstatic rave dancing with the Christian liturgy. These first masses were called Techno-Cosmic Masses. In 1994, Matthew Fox offered the first such mass in the U.S. at Grace Cathedral in San Francisco. Since then, various versions of the cosmic mass have been held across America in cities such as Oakland, Los Angeles, Boulder, Seattle, Olympia, Houston, Louisville, Philadelphia, Pittsburgh, and of course, Asheville. Each cosmic mass revolves around a theme chosen by the group creating the mass. Past themes include: Gaia, Our Mother; Body as Sacred; Angels; Wisdom of Hildegard; and Kinship with Animals. 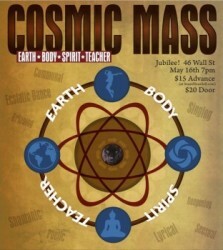 The theme for the cosmic mass I attended was Earth-Body-Spirit-Teacher. Most cosmic masses have some sort of cleansing or welcoming ritual in the entryway. Participants might be smudged with sage (or another herb) or sprinkled with water. For the cosmic mass I attended, we passed through a foot-washing space. I have had my feet washed many times, usually as part of a Holy/Maundy Thursday service. I highly recommend it. I was oddly and unexpectedly uncomfortable the first time I had my feet washed, but I am a big fan nowadays, and I encourage you to try it if the opportunity ever arises. Because this particular cosmic mass was on a Friday night in downtown Asheville, I had struggled to find a parking space. I was 15 minutes late for the mass and completely frazzled, but as soon as I sat in the chair and placed my feet in the warm water, all my first-world problems began to disappear. The mass itself opened with a spiral dance. Well over 100 people were in attendance, so it was a big spiral! We circled in toward one another and then called to the six directions (E, S, W, N, sky, earth). We also called in our ancestors and loved ones. After several minutes, we unspiraled, and moved into the Via Positiva part of the mass. The Via Positiva portion is often a dance, and that was the case for this cosmic mass. The projectors on the surrounding walls offered images of creation that inspired awe and wonder. Then came the Via Negativa portion. A short, guided meditation changed the energy from joyous to contemplative – even sorrowful. We were invited to approach the Via Negativa altar and leave an object representing our dis-ease or healing desire. We were invited to let go of our pain, to embrace our grief, and to come face-to-face with our heartaches. We hugged and cried. We rested in the warmth of compassion. Images of loneliness and despair appeared on the screens. It was a powerful reminder that everyone is suffering in some way regardless of the happy face they put on for the rest of the world. Then came the Via Creativa portion. This segment seems to vary the most from mass to mass. Perhaps this is to be expected since it’s about being creative! In many cosmic masses, the Eucharsit/communion is offered at this time, but that has not been the case for the two cosmic masses I have attended. For this particular mass, a guided meditation encouraged us to think about our spiritual journey – both during the mass and across our lives. We were then asked to jot down some of our thoughts and to select small rocks that would symbolize our ideas. The cosmic mass ended with the Via Transformativa. Again, this is usually a dance. The energy focused on justice, fairness, and our interdependence, and the projected images further reminded us that all of creation is one. Cosmic masses are not for everyone. They all follow basic guidelines, but they are all different from one another, so you never know what, exactly, to expect. Nothing horrible will happen to you, and no one is ever forced to do anything, but it is obviously a very non-traditional worship service. There will almost certainly be dancing, there will almost certainly be a time when you are invited to open up your heart to the sorrow held within, and you will probably be physically touched as some point. That may sound overwhelming to you. But, if you harbor a spiritual sense of adventure, and you really enjoy alternative forms of worship, keep an eye out for the next cosmic mass in your area. They’re pretty amazing. Blindell, Grace. What is Creation Centred Spirituality? London: GreenSpirit (the Association for Creation Spirituality), 2001. Print. Fox, Matthew. Original Blessing. New York: Jeremy P. Tarcher/Putnam, 2000. Print. Love this post, Vicki, it’s great to hear that your appreciate the intention and the intricacy of the masses that we’ve done in Asheville, and to read such a clear and helpful description for others to consider. It’s a ritual form that I love because of the very depth and breadth of possibilities you referred to and because it’s such an rich and gratifying way of experiencing the infinite grace and beauty of our common Original Blessing! Next post: My Morning at Great Tree Zen Temple — Great for Kids, Too! Type in your email address to subscribe to Faith Seeker Kids. Posts include information about religious practices and holidays, ancient texts, current events happening around the world, interdenominational / interfaith events to look for in your community, interviews, and book reviews. The posts are intended for adults but will provide specific ideas for making content relevant to children of all ages. Watch for new blog posts, read the archives, sign up for e-mails, and join the conversation! It’s Hola Mohalla: Let the Games Begin! 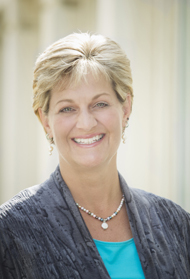 Vicki Garlock on What the Heck is a Cosmic Mass? © 2018 Vicki Michela Garlock. All rights reserved.